As it has already been said in some previous articles, there is no need to present you WeChat. According to the latest news this monstrous App has reached now more than 900 million users. This article will focus on the release of a new functionality in WeChat. This functionality is the Search Engine of WeChat. Let’s discover what it is and what it can do. What Is the WeChat Search Engine? You have maybe heard about the new function of WeChat. Tencent 's WeChat has developed a function called “Search”. It will be a sort of search engine that will allow any users to do some research about any kind of information. It will be a sort of search engine that will allow any users to do some research about any kind of information. How do I search on WeChat? This search will be available in the WeChat App. You can enable it by managing your features. When it is enabled you will be able to use it in the discover button. The search engine is not like the one used by Google or Baidu. WeChat Search is exclusive to the WeChat app. For example, when you do a search in Google or in Baidu, you have usually ads at the top and then the most recent news and then the most popular pages. When you decide to launch a search on WeChat, you will find the order is different. First, you will see the most recent news about the word you are looking for, followed by the mentions of the word made by your friends. Then at the bottom, you will find other random articles on the subject. That means that you will be able to find almost anything that has been published within WeChat and only in WeChat. That’s where you can also see the difference between Google and Baidu that shows everything that has been published on the internet. What can I Search on WeChat? This will allow you to do a search on the moments of your contacts. For instance, if one of your contacts has a moment located in Shanghai, mention Shanghai in the text of the WeChat Moment or is a WeChat user with an account located in Shanghai you will be able to find it typing Shanghai in your filtered search. By doing a search on a topic, WeChat will show you the related articles uploaded to the app sorted by relevance. Furthermore, you can keep filtering and sorting your search by diverse factors in order to find exactly what you want. Finally, through your search, you can also find all the official accounts related to what you are looking for. It is a useful way to find interesting WeChat Official Accounts. Why Does Tencent – WeChat decided to launch the WeChat Search function? Tencent's WeChat has decided to launch this function within WeChat because they are aware of the importance of data and WeChat has plenty of it with their 900 million users. Moreover, Tencent has understood the importance of the data not only with WeChat but also with the typical search engine. That is why they have invested in the third largest search engine in China, Sogou, a technology company with high potential in valuable data. Can it Be Dangerous for Baidu? The launch of the WeChat Search Engine and the investment in Sogou represent a real threat to Baidu. Indeed, at the moment we use Baidu only to have a look at the background of a company. 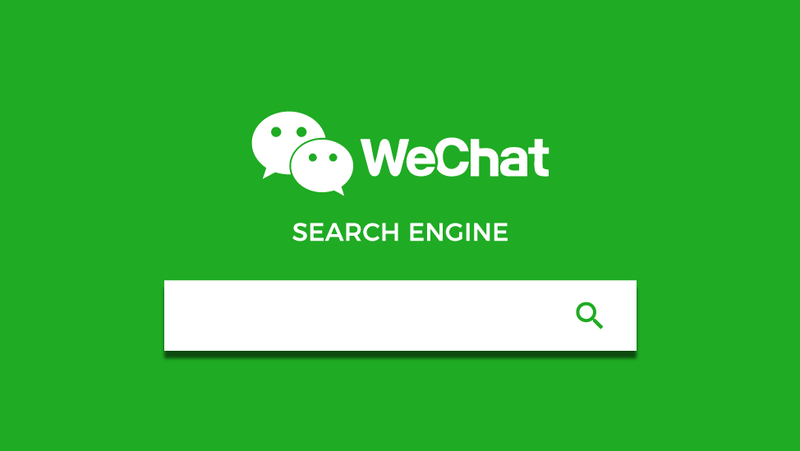 With the WeChat Search Engine, people can have a bigger view of the reputation and information about the company. According to the latest news, Baidu’s profit is decreasing these last few years and in the meantime, the profit of Tencent is growing every year. If you are willing to learn more about the WeChat and Tencent, if you want to use WeChat for your business, do not hesitate to contact us, we will be glad to help you to succeed at any level.